This was my 12th read for 2019. Finished on 1/26/2019. This was another little known book in a country where I struggled to find a book that took place at least 50% of the time in the country. I actually started another book for this country, found it boring. I was proud of myself for quitting. Most times I just struggle on and hope for the best. I reached out to a few of the facebook reading groups I belong to, and this book was introduced. 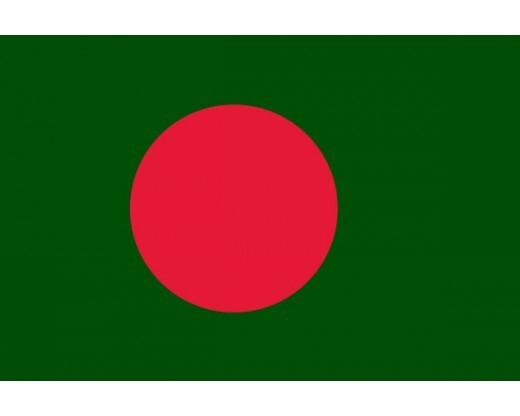 This story takes place in 1971 during Bangladesh's War of Independence. Rehana Haque is a widow who is planning a party for her children to celebrate 10 years that they were returned to her. After her husband died, she could not care for her children - she had no money and no support - so her husband's brother and wife took her to court to get custody of the children. Rehana's only hope to get them back was to get enough money to bribe the judge. She is encouraged to build a little bungalow on her property that she can rent out for money. But in the end it isn't enough, and she now holds a secret of how she got the money she needed to bring her two children back to her. Now her children are grown, university students that are very well of the political charge around them. Her daughter, Maya has sided with the Communist, while her son - Sohail - remains undecided. Soon they will all be thrown into the war when the Pakistani soldiers attack Dhaka a few days later. The soldiers destroy the university and Hindu neighborhoods. Rehana's tenants in her bungalow are Hindi and they make a run for it. Rehana wants nothing to do with this war, but her children are so involved, she cannot turn a blind eye. Once the bungalow is empty, her son asks her mom for its use to set up headquarters for the rebels and to hide supplies and weapons. She reluctantly agrees. When one of her son's group is seriously injured in an explosion, her son asks Rehana to keep him hidden and nurse him back to health. In the mean time, Maya's best friend is captured and killed, and Maya uses this as the fuel she needs to get more involved in the war. She heads out to Calcutta - against her mom's begging her to stay - to help the war effort. Rehana's children are putting them in harms way, so she does what she can as well. She nurses the fallen rebel (known as the Major) and falls in love with him. She sews blankets for the refugees with her neighbors. 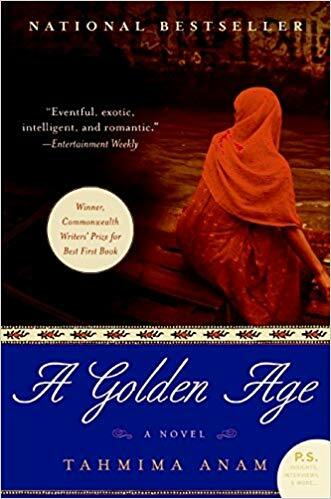 And when her neighbor comes to her for help because her own daughter's husband has been captured and jailed, Rehana uses her connections to get him out of jail. Soon even Rehana is forced to flee Dhaka and ends up with her daughter Maya in Calcutta. Maya is working as an aide at a refugee camp. Rehana helps out in the hospital and there her old tenant from her Bungalow comes in. She is in terrible shape - she doesn't know where her husband and son are, and she refuses to speak. It is hard to say what happened to her while her family was on the run. In the end, Rehana and her children are able to return to Dhaka and the war ends. Rehana is a different person than she was before the war started, and sees herself as a strong, independent woman who made a difference. This was a pretty good book. It is not something I would have picked for myself if I wasn't doing this challenge, so I am glad it came my way. I liked the characters and the development of the story, although at times, it probably moved a little too quickly. It jumped quite a bit and sometimes I found myself going back a few pages to make sure I didn't miss something. But over all - it was a solid story about something I knew very little about (since it was before I was born). If you want to learn a bit about the War of Independence in Bangladesh, then this book will give you a small insight into that time period. I loved this book when I read it and it definitely doesn't get the amount of love it deserves. It's heartbreaking to see how the family struggles, isn't it? Just out of curiosity: what was the book you gave up on? I read Monica Ali's Brick Lane for Bangladesh. I quite - The Storm by Arif Anwar - just didn't seem like it was actually going to be in Bangladesh much.